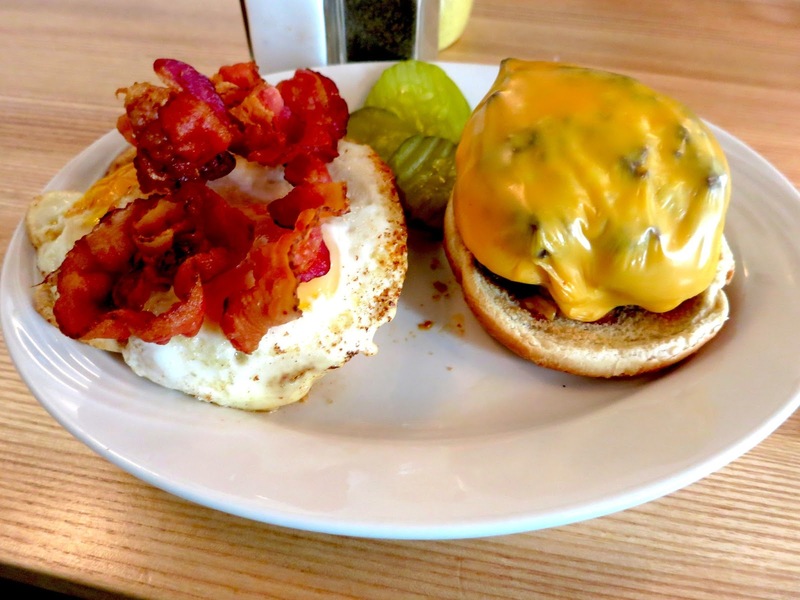 Bite into one of New York City’s most infamous burgers at The Corner Bistro’s newest location in Long Island City. Take the 7 train – only one stop from Midtown – to what’s becoming a true neighborhood for delicious grub, such as one of my newest favorites, Alobar. Who knew LIC would be the next foodie destination? When it’s cold and snowy, what’s more comforting than a hearty, cheesy burger topped with crispy bacon? Corner Bistro’s burger is cooked to order and to perfection (which for me means medium rare) and topped with melted American cheese, bacon, lettuce, tomato and pickles for a great classic burger. This is the type of cheeseburger that almost anyone will fall in love with. Haven’t you seen those crazy lines outside the original location downtown? While the West Village bar doesn’t offer a brunch menu, the new joint has an extended menu for NYC’s favorite meal at an affordable $9 – $12 per dish, like their Chicken Club Wrap, Chunky Chicken Salad and Sweet Potato Fries. Take my advice and don’t just indulge in the Bistro Burger – try the wings! Also only available at the LIC location, these babies are fresh – never frozen – bought directly from the butcher. Plump chicken wings are served piping hot with a creamy blue cheese to cure your weekend hangover or make a game day meal that much spicier. You should also warm up with their chili, featuring ground beef and beans slow cooked in a rich tomato base, then topped with diced white onion and cheese. Chili is both a sports fan favorite and the best way to heat up your hands and belly on a wintery night in the city. This bar and restaurant is even family friendly with a special kids menu. Treat your little ones to the Kid’s Grilled Cheese (half grilled cheese served with fries) or Kid’s Burger (a smaller size than the adult portion served with fries). The Corner Bistro. 47-18 Vernon Blvd. Long Island City, NY.